However, competition is fierce in the photography industry with only the most dedicated making a successful career for themselves. So if you are serious about this career path you need to be prepared to study hard and learn as much as possible about the art, techniques and industry as a whole. Those choosing to study photography at an academic level will have the edge on other hopeful photographers because they gain all the basic knowledge required and also have the opportunity to network with photography professionals. An education course also enables students to try out many different forms of photography and decide what's best suited to them. Choosing the right photography course is no easy task on its own. There is a wealth of photography courses available in the UK alone, from Foundation courses and national diplomas in photography to university degrees in photography. Some of the most widely respected universities in the UK which run photography degree courses include the University of Westminster, London College of Communication, and the Surrey Institute of Art & Design University. Would-be photography students should have a look at the UCAS website and see which courses are available at various universities. Then look closely at the course curriculum and decide if it matches their career aspirations. There are many great universities and colleges so it's important to look closely at each in terms of location and the success rate of their graduates. One of the major obstacles for photography students and any students today is the cost. Tuition fees have reached record levels in the UK (£ 9,000 per year in many cases) so this can deter many students from study. However there are other options, cheaper options such as online learning or distance learning. Distance learning photography courses often come in full-time or part-time format, making it perfect for those already with jobs or sometimes with children that they need to take care of while studying. The best known distance learning establishment is the Open University which offers a number of photography courses but there are also others who specialize in distance learning such as the Interactive Design Institute who currently offer online photography courses online. As in any other discipline, the career prospects for photography graduations are not guaranteed in today's economic climate. However, employment prospects can be improved greatly by networking while at study, and spending time gaining work experience through established agencies or professional photographers. Once photography students have gained the required experience along with the qualifications, they are then faced with the choice of either working within an agency or as a freelance photographer. Paying for college out of pocket is very difficult for most families to afford. This means that there is a need to either get college loans or win scholarships. Many people think that scholarships are only possible if you have a very high grade point average. Although GPA is looked at, other qualities are important as well and not all scholarships are based on grades. For instance, there are leadership scholarships, scholarships for community service activities and other types of scholarships that emphasize one's active side in the local community. Take the time to look at the activities you've been involved in. Scholarship committees review this. It does not always have to be a formal activity. Even reading to a friend's mom with a disability or other activities should be noted in one's essay. Spend a lot of time on the scholarships essay application. Give the committee reasons why they should pick your name as one of the candidates. Speak about your goals and dreams with sincerity. Talk about influential teachers and leaders in your area that have impressed you and how you are carrying out your own vision in today's society. When you list references, think about people in your life that know you who have seen your work ethics and other good qualities. If you have not seen them recently, do not feel shy about approaching them. You can also include to them in your note, what accomplishes you've had recently so that they can become aware of what you've been doing for others. There are many available college scholarships and it's best to start the process early and not just count on one, but fill out many applications. Although you are doing college essays for admission, this is also important to do. The funding can make your education much easier as you may not need loans or to work while you are taking in classes. This can free up your time for study and the college experience. "How should I get established in my career?" You can help your teen find answers to above important career questions. How? Help your teen son or daughter in following the 3 simple Career Planning steps given below. These steps are based on more advanced career planning techniques which we teach in Success Mindware: Total Self-Development Program for Children. Career Planning Step 1. What I want to do? In this step, ask your teens to think and write down what job or business they would like to do. This is the most important step! Career Planning Step 2: How am I going to get that? Once your children decide what job they want to do, then next step is to find out how to get it. "What courses or training do they have to do in order to get the job they want? "What working style or skills do they have to learn? "What kind of part-time job or internship do they have to do? Once your teens find out answers to above questions, they will have a powerful career plan sitting right in front of their eyes. You can easily help your teen son or daughter find answers to such questions by searching on internet or library. Career Planning Step 3: Who can help me in what I want to do? This step is all about forming important "connections." Ask your teens to write names of people who can give more detailed information about their career, who can tell them which college or course is good, or whom they should contact to get a job! Once your children get such information, they will be able to work on their career goal very easily. Now here's a smart tip: the best person who can help your children in this task is a person who is already working in that career. For example, if your teenage daughter wanted to become Interior Designer then she should meet and ask for guidance from a person who is already working as an interior designer. Or just talk with some Career counselor. Taking an online aptitude test is something you need to consider if you want to change career. There are thousands of other people who are confused about what would be the ideal career choice for them. Do not be accused if you are one of them. Remember, it's not only you who are facing the same dilemma. Being unsure about your career is just a sign that you must consider taking a career assessment. Often, our innate talents lie dormant within us and without we get an opportunity to express ourselves, our talents do not come into limelight. Also, it may be the case that you have more than one interest and there before it becomes difficult for you to choose the one that would be the ideal career for you. Now in such situations, an online career aptitude test comes into play. If you are puzzled and can not make the right decision about your career or if you want a career change, then these tests will really help a lot. With the help of an aptitude test, you can scan the different career options for yourself and end up with the one where you will have the scope to accomplish a lot. Besides, these tests will not only help you in changing careers or planning them but also aid you in your job search. Based on your aptitude test results, you can take the correct decision about your career change, thereby saving yourself from a miserable life with the kind of job that you were totally unfit for. Remember, it is very important that you are satisfied with your job in order to spend a happy life. Many times, we do not realize that we need a career change to put our life back on track. EleFun Games offer you a new time-management game that stands in line with the recent tenders in the casual game industry. You are the manager of a confectionery where you serve multi-layered cakes and beverages to demanding customers. The game play largely resembles Burger Shop, but it has some features distinguishing it from others. A career as a cafe manager? That's a piece of cake! That's how Emily, a young college graduate, thought when she received a call from Gail Davis, the owner of a newly opened confectionery. She did not hesitate a bit before accepting the offer – and here is the first day of work! As you already understood, nothing new for the story here. The game play is basically typical for all time-management games, though it has some new twists. At first you have just a show-case with three types of loafs and three types of jam for your cakes and a trash bin. Watch carefully for your customers' orders and work fast, creating three-layer cakes for them – and soon you'll be able to acquire some new fittings for your cafe. Here we come to the main attractions of the game, including the addictive game play (and it is addictive, believe me). After each level you can see how a number of your game parameters have changed. First, it is the level of your Cafe – measured in stars and determining the efficiency of your work. It depends on the fittings you have purchased, and, actually, on the diversity of your menu. And you can buy upgrades based on two other parameters – your Cash and Mastery. With cash everything is simple – it's just the money you have earned during the time-management levels. Mastery is something you can raise by elearning tips. The amount of your tips depends on your level of service, that is on how long you make your customers wait. The more tips – the higher your Mastery is. And if you comply with the minimum Cash and Mastery requirements – you are welcome to purchase new fittings for your Cafe, like coffee machine, ice-cream, drinks, additional tables etc. All of those raise the rating of your enterprise and attract more customers. Tip: prepare fresh portions of drinks, cotton candy etc. immediately after serving the previous ones, replacing them in the machines. This significantly saves your time. But these are not the only things to spend your money on. While Emily adores her new job, she starts missing her home very soon, and Gail suggests that she builds a home for herself there. The construction raises Emily's mood, and while she is smiling your customers become more patient. But in order to proceed with it you will also need money – and sometimes it is even more important than the upgrades. According to one education report, most of the countries will be in need of new scientists by the end of this decade. The reason behind this, the children are not interested to learn science these days. However, as a parent or teacher, you need to motivate your children to get interested to learn science at an early age. Most of the children thinking that this science subject is mysterious one to learn.However, the science is happening around us every day, and we need to use these things to motivate children interest and knowledge. As a parent or teacher we are able to help our children with these incredible science experiment kits. And also you need to observe some of the things towards your children that willingness to try, observing the world, and you need to take the time to encourage their natural curiosity and many more. science yourself.By asking few interested questions about these things you can crate a positive attitude. And also one important point to consider that you need to have so much patience while giving the answers to the children. And also you need to perform some science project of everyday activities. For example, you can provide the answer for how the moon is bright on one day and changing its shape. There are so many science project experiment kits are available in the present market, where you can do these experiments with your children. And some other daily activities like how the milk curdles when you add vinegar and many more experiments to do. Definitely, your children will get through knowledge about science with these experiments. When it comes to interests of children, no two children are having the same interest on these science projects. Fortunately, there are so many incredible science project experiment kits available available depending upon the interest of your children. If you are selecting a hard experiment, then there is a chance of frustration for your children towards this project. So, it is a better idea to start with small projects, later on you can do these hard projects. However, you need to notice that some experiments are suggested for particular age group children. 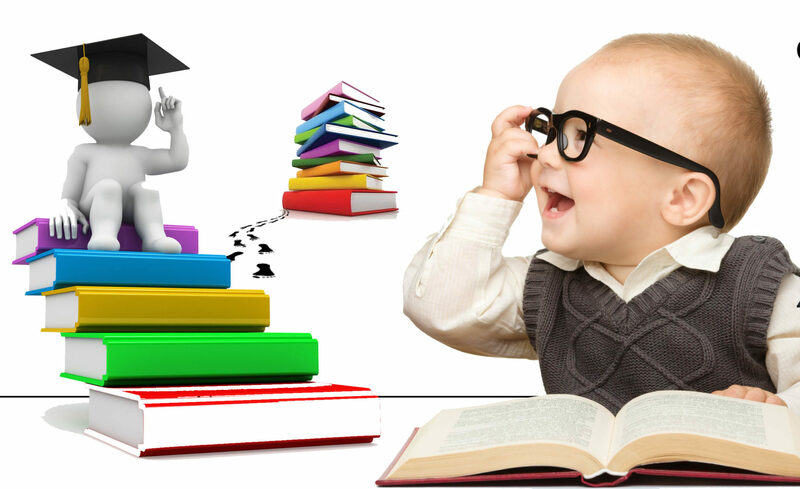 And also you need to consider that which project will match your children personality and learning style. And also some of the experiments are meant to perform with a group only. When it considers the environment, you need to perform some of the project dependent upon the climate conditions in your living area. And finally, you need to give freedom to your children to select the suitable project for them. Many individuals seek answers regarding what many people describe as life’s big questions. Metaphysical schools are devoted to answering questions related to the existence and the origin of nature. Students can complete online metaphysical education through several colleges that provide degree programs. Education focuses on explaining the nature of being in conjunction with the structure of the world. The goal is to develop a strong bond between the physical, mental, and spiritual qualities that make an individual a whole. Online learning explores these areas through a wide range of course topics that prepare students for the professional industry. Students can enter online training in areas such as spiritual philosophy, Eastern religion, holistic life coaching, mysticism, and more. Degree programs can be entered at all levels of education. Most online colleges provide students with the chance to obtain a bachelor’s, master’s, or doctorate degree. Coursework examines different belief systems in history. Through the exploration of religion students are able to step into many careers. The goal is to help people determine the difference between religion and spirituality. Professionals help their clients achieve self-awareness by helping them understand how to pray and meditate. For example, students that complete a holistic healing degree program will establish careers where they work directly with clients to provide spiritually based healing services. Online coursework develops the understanding of good health, as it relates to the entire individual. Professionals use their metaphysical knowledge to apply treatment to a person’s physical, emotional, and spiritual needs.